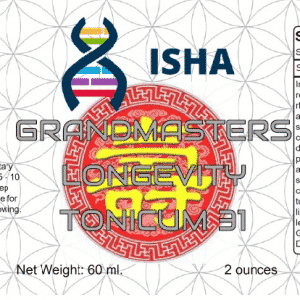 ISHA GRANDMASTERS LONGEVITY TONICUM FORMULA *31 – BIG Bottle 2 Oz * 240 SERVINGS* *including worldwide shipping ! 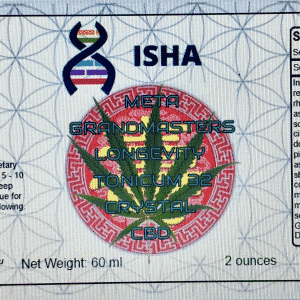 Formula of Meta Grandmaster, manufactured and bottled, by a highly priest experienced Master Herbalist from Hawai. Why here ? During our 35 years of worldwide research and testing, we found these to be the REAL all in one SECRET remedies. 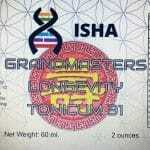 NOW we gathered ALL formulas into ONE powerfull grandmasters formula. So people can really benefit on all levels. Normally only for Kings and Royal families. Now for all. would normally cost 20-50 times the price. Just do a search on one of the 31 as listed below and you will get confirmation of all. It is highly probable that every Daoist practitioner that ever lived in Asia (China, Korea, Japan, etc.) consumed certain tonic herbs, either regularly or from time to time. Many abstained from most food, as we know it, but none that I have ever heard of abstained from tonic herbs. Why? Did these adepts take herbs just so they could have more energy so they could accomplish their daily tasks? Did they take tonic herbs to handle the stress encountered in life? Did they take them to overcome health challenges? No. They took (take) tonic herbs to nurture the fundamental “energies” of life. Daoists are interested in “cultivating” their life by nurturing their body, mind and spirit. Daoism is a “fast” technique of achieving immortality (enlightenment). By attuning oneself to Dao, and by following this “path,” it is possible to attain supreme consciousness in one lifetime, not many. The tonic herbs are an integral, essential component of a spiritual path. The tonic herbs are not medicinal herbs, though they certainly can be healing. They are profound health promoting substances. It is possible to build and protect our health so that we can live life optimally. Radiant health is attainable, and we can maintain it once we have it. Radiant health is attainable if we learn the secrets of living in accord with Nature’s laws and take advantage of a few of Nature’s tools. What distinguishes Chinese herbalism from other systems has been the attitude the Chinese and other Asian societies have taken toward health. Putting the emphasis on promoting health, they have created a body of knowledge concerning the health-promoting tonic herbs that no other society or system has matched. Other systems have emphasized the remedial over the preventive. Yin herbs are deeply nourishing. They replenish spent Jing and build reserves that are stored in the body for future use. They are famed for their long term regenerative qualities. They are generally moistening and are believed to be youth preserving. Yin herbs should be consumed by people who have depleted their yinreserves. Life itself depletes yin, and yin is constantly consumed as we grow older, until by middle age many people experience yin depletion. Besides aging, yin is also specifically depleted by stress, overwork, exhaustion, childbearing, excessive or chronic drug or medicine use, disease, excessive emotionalism and sexual excess. 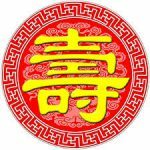 Those who are deficient in yin Jing tend to be chronically exhausted, and they tend to have dark rings under their eyes, backaches, weak kidney and reproductive functions, low resistance to infection, weak digestion and show signs of rapid aging, including dryness and wrinkling of the skin. Yin Jing herbs are capable of replenishing the treasure and building reserves for the future. Thus Yin Jing herbs are considered in Asia to be the cornerstone of rejuvenation and the foundation of longevity. Yang herbs are deeply empowering. They rekindle the fire of life where it has been spent and invigorate vitality at the deepest levels. They are famed for their rejuvenating and deeply invigorating qualities. Yang herbs are used to build creative power, will power, sexual energy and athletic vigor. 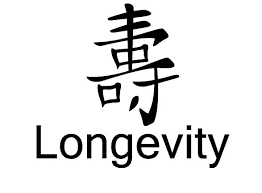 The result of consuming YangJing herbs is a renewed and sustainable youthfulness. However, Yang energy tends to be warm and invigoration and therefore requires Yin to maintain coolness and balance. Yang herbs should never be taken by a person suffering from Yin deficiency because the Yang herbs can further aggravate the situation by consuming the already deficient Yin Jing. If you wish to utilize Yang herbs, build up the Yin Jing first until all signs of Yin deficiency are eliminated. This may take some time, but regular consumption of powerful Yin Jing herbs will surely nurture the deep yin. Eventually Yang herbs can be consumed ? and that’s when the real fun begins. Qi tonics fortify the digestive, respiratory and immune functions and are necessary for true health. Qi tonics also help build muscle and develop muscular strength.Blood tonics help build blood and nourish all the tissues of the body. It is said that “men are governed by Qi and women are governed by Blood. This means that men generally benefit by consuming more Qi tonics while women generally benefit by consuming more Xue tonics. This does not mean that men do not need Blood and women do not need Qi. It is simply a matter of natural balance. Everybody should consume some amount of Qi and Blood tonics regularly according to need. A simple, traditional analogy by which one can understand the Three Treasures concept is to think of life being like a candle. The material of the candle itself, the wax and the wick form the innate substance, or essence, of the candle. Depending on the quality of the wax and the size of the candle, the candle can be expected to have a certain life expectancy. Thus the candle itself is analogous to Jing. The flame is the actual activity of the candle. The flame is energy manifested. It provides the source of light. However, it eventually consumes the candle. The flame is analogous to Qi. The light given off by the flame is the ultimate purpose of the candle. A larger candle, and thus a larger flame, will give off greater light. The light given off by the candle is analogous to Shen, which is the spirit of the candle. Our lives are like that of a candle. Genetically we are given certain regenerative power, but when our Jing is used up we die. The purpose of taking Chinese tonic herbs is to replenish the Jing and Qi and to stabilize our emotional body so that Shen may fully develop. The reason tonic herbs are so important is because they protect, supply and replenish the Three Treasures, Jing, Qi and Shen. The Three Treasures are the three fundamental “energy states” inherent in all life (and arguably in all that exists). These energies are called “treasures” because they are the very basis of our life. Tonic herbs are mentioned or alluded to in virtually every ancient Asian spiritual and health-related text passed down through the ages. For example, Lao Zi, the founder of Daoism, composed the book known as the Dao De Jing. Dao can be roughly translated as “the Way of the Universe.” De is very close to Dao. But De is the way that Dao works within a human being. De may be translated as “the Inner Way” or “Inner Power.” The Three Treasures are the component energies of De, the inner power that animates human life. “Heaven within me is De (Inner Power). De flows down, Qi expands, and there is life. The coming forth of living beings indicates Jing (Essence). “The human body is only Jing, Qi and Shen. 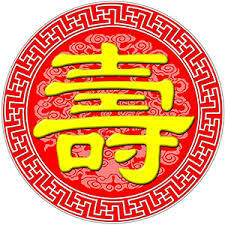 Jing, Qi and Shen are called the Three Treasures. Jing. In people it is primal energy, the root of essence and life, the body of flesh and blood. Qi. In people it is energy, physical movement, activity, speech, and perception. It is the use of the body and the gateway of life and death. Shen. In people, it is the spirit, the light in the eyes, thought in the mind. It is the wisdom and intelligence, innate knowledge and capacity. It is the lord-ruler of Jingand Qi, awareness and understanding. It is the basis of the physical shell, and the foundation of the life span. The Three Treasures are difficult to obtain. Since they are not easily obtained, how can we not take care of them? They are to be taken care of, and this is accomplished by purity and tranquility, not agitating the Jing, not letting it leak, so that it abides peacefully in its original home, true to reality as it is, circulating three hundred and sixty-one times in a day and night, returning to its original home, true to its own nature, immutable, forming the stabilizing ingredient in the elixir of immortality. Jing is always controlled by Qi. Once Qi runs outside, Jing eventually leaks out. Therefore, to stabilize Jing one should guard the Qi. Without spirit (Shen) there is no substance, without substance there is no spirit (Shen). Spirit is active, substance receptive; substance acts through the spirit. Emptiness and substantiality interact and balance each other, subtly combining into one whole. Those who master understanding of this principle combine the qualities of firmness and flexibility; as emptiness and substantiality produce one another, they penetrate the mystery of earth. Also, by understanding the basis of this, creativity and receptivity are established in their proper places, and the great elixir of life is made. “The herbs of the Inferior Class are the assistants. They control the curing of illnesses and correspond to Earth. They possess a markedly medicinal effectiveness and must not be taken over a long period of time since side effects will likely result. If you wish to remove cold, heat, and other evil influences from the body, to break up stagnation of any sort and to cure illnesses, you should base your efforts on the herbs in the Inferior Class. There are currently about fifty-two natural substances that are generally recognized as the major Chinese tonic herbs. These incomparable, legendary herbal substances have stood the test of time. Each has in its own right come to be recognized, through many centuries of continuous use, to be a remarkable life?enhancing tonic. These are the true super-tonics, the greatest list of herbal substances in the world. Of the fifty two major tonic herbs, a dozen or so stand out as the superstars. These twelve herbs have been the backbone of Daoist tonic herbalism for at least three millennia. It is highly probable that Lao Zi and the Yellow Emperor himself consumed all or most of these herbs. Countless sages and masters of the Daoist arts have used these herbs, and benefited by attaining great longevity and “immortality” (enlightenment ? universal consciousness). The following descriptions of these twelve super-tonic herbs are not exhaustive. They present insight into the twelve great tonic herbs and provide the most important functions of each one ? knowledge that every person using herbs to promote radiant health should have. The information provided here is designed to lay the groundwork for a broader understanding of tonic herbalism. In fact, it was difficult to limit the list to twelve herbs, since some of the other tonic herbs have profound benefits. For much more in-depth descriptions of all of these herbs and how they are used, you are encouraged to read The Ancient Wisdom of the Chinese Tonic Herbs (AKA “Radiant Health”), published by Warner Books. This book will prove to be an invaluable resource and guidebook on your path to radiant health. Though most of these super-tonic herbs may be used individually, in actual practice, most of the herbs are combined into formulations that may be consumed on a daily or otherwise regular basis to promote one’s long term health and well-being. Reishi is considered by many people to be the ultimate tonic herb. It is widely renowned in the Orient as the “mushroom of immortality” and the “herb of good fortune.” The best Reishi is the red variety known as Ganoderma lucidum. Again, every Daoist that has ever lived in China, Korea or Japan consumed Reishi as often as possible. Reishi is now cultivated in Asia, and the very best Reishi is grown on “Duanwood” logs by organic means, and thus it is known as “Duanwood Reishi.” Hothouse Reishi and Reishi mycelium, varieties most commonly available on the U.S. market, are of inferior quality. Wild Reishi is also available, and high quality wild red Reishi is a premier Shen tonic. 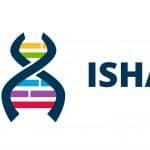 Reishi has been demonstrated in research done in China and Japan to be a significant immune system enhancing agent that also protects the various organs and tissues of the body. It is the supreme Shen tonic of Chinese tonic herbalism, and is also considered to be a major Qi tonic. Reishi has an immediate calming influence, and over time is believed to help enhance wisdom, which may lead to true spiritual insight. Reishi protects the liver from poisons and has a very powerful regulating effect on people who experience allergies. Everybody should consume Duanwood or wild Reishi every day, and practitioners of Qi Gung or other forms of Taoist yoga should never miss a day. Asian Ginseng is the primary Qi tonic of Chinese tonic herbalism. Wild ginseng is an elite Shen tonic, revered by Daoists. Ginseng is one of the most famous and valued herbs used by mankind. Panax (Asian) Ginseng is an energy tonic that regulates the human energy system. It helps to regulate and nurture both the central nervous system and the endocrine system. Ginseng is an adaptogenic herb. It helps a person to adapt to all kinds of stress, and enhances endurance and resilience under stressful conditions. High quality gnseng tonifies all the systems of the body, but is most specifically tonifying to the Spleen and Lung functions, the functions that produce Qi in the body. Wild Ginseng nurtures spiritual power and thus is said to enter the Heart meridian. Ginseng contains many active ingredients, but the most important are the saponins called ginsenosides. Ginsenosides specifically improve adaptability and are believed to help build muscle and endurance. Therefore Ginseng is very popular with athletes. Asian Ginseng generally has a “warm” energy. Most high quality ginseng is good for men and women alike. Wild and semi?wild Ginseng is generally far superior to the cultivated, commercial varieties. Wild ginseng possesses qualities that cultivated ginseng doe not, and has been a primary herb used by Daoist adepts. The higher the quality, the more Shen (Spirit) a ginseng root is said to contain. Ask for advice as to which might be best for you. Beware of cheap Ginseng products, because they are often made from immature roots that have imbalanced chemistry. These cheaper Ginseng products account for Ginseng’s unfortunate reputation for increasing tension or for causing headaches, or even high blood pressure. Mature, high quality Ginseng will not have any side effects. For the past few hundred years, ginseng collected in North America has been popular among herb users in China. American Ginseng, or Panax Quinquefolium, is a true ginseng family member even though it grows in North America. It contains phytochemicals known as saponins that are similar to those found in Oriental ginseng (Panax Ginseng). However, American Ginseng is considered to be a Yin tonic herb, especially nourishing to the lungs, skin and stomach. It builds adaptive energy without the warming effects of Asian ginseng and is thus the ginseng of choice for overly yang people. American Ginseng is extremely popular in China. The wild variety is far superior to the cultivated, but is much rarer and much more costly. Nevertheless, wild American ginseng is a great value, considering its extraordinary benefits. This delicious fruit is very widely used as an excellent Yin Jing and blood tonic. Regular consumption of Lycium is traditionally believed to lead to a long and happy life. It is said that prolonged consumption of Lycium will promote cheerfulness and vitality. Many famous Daoists who attained great longevity and wisdom have praised Lycium as the herb of longevity. Lycium tonifies the Kidneys and Liver and directly and reliably builds Jing. Lycium is said to brighten the eyes and improve vision. It is said that Lycium strengthens the legs and enhances sexual function. Lycium fruit contains polysaccharides that have been demonstrated to strongly fortify the immune system. Lycium is also very rich in vitamin C (a vitamin C precursor that becomes vitamin C when it enters the blood stream) and in B vitamins. Furthermore, it is the richest source of carotenoids, including beta carotene, of all known plants on earth and is thus a powerful antioxidant. It is now commonly called “Goji,” and is widely available. However, quality is a major issue with Goji. Truly great Goji grows in the far north of China, Mongolia and in the Heaven Mountain region of northwestern China. Heaven Mountain Goji is now considered, in China, to be the best quality. In China, Himalayan Goji is considered to be of inferior quality product and is rarely used. Schizandra is a wonderful tonic historically consumed by Chinese royalty. It is one of the few herbs that contain all three Treasures in abundance. Therefore, all Daoists throughout Chinese history consumed Schizandra. Schizandra is considered to be a youth preserving herb and is renowned as a beauty tonic. It has been used for centuries to make the skin soft, moist and radiant. It is also said to be a powerful tonic to the brain and mind, and is believed in China to improve memory. It is also said to be an excellent and reliable sexual tonic when consumed regularly. It is said to help produce abundant sexual fluids, increase sexual endurance and to strengthen the whole body. It is used in many tonic formulations as an “astringent,” preventing the leaking of Jing. Schizandra has a wonderful multi?layered flavor when processed properly. The best Schizandra comes from the Chiangbai Mountains of Manchuria (northern China). Astragalus root is one of the most important herbs in the world. Astragalus is the main herb in a wide range of tonic formulations. It is said to strengthen the “upright Qi” which supports our posture and the position of the organs. Astragalus has been used for over two thousand years to strengthen the body as a whole. It has been recognized as a superb and potent immune system tonic by modern researchers. It balances the immune system and may be used consistently and indefinitely without fear of side effects. Astragalus has also been found to be a tonic to bone marrow. Astragalus is believed by the Oriental people to strengthen muscle and improve metabolic functions. The Qi building power of high quality Astragalus matches that of ginseng. Like all tonic herbs, Astragalus is available in a wide range of qualities. Generally, with Astragalus as with Ginseng, when you purchase Astragalus, you are paying for the Qi available in the herb. More expensive varieties contain for more Qi than cheaper varieties. You get what you pay for with Astragalus. 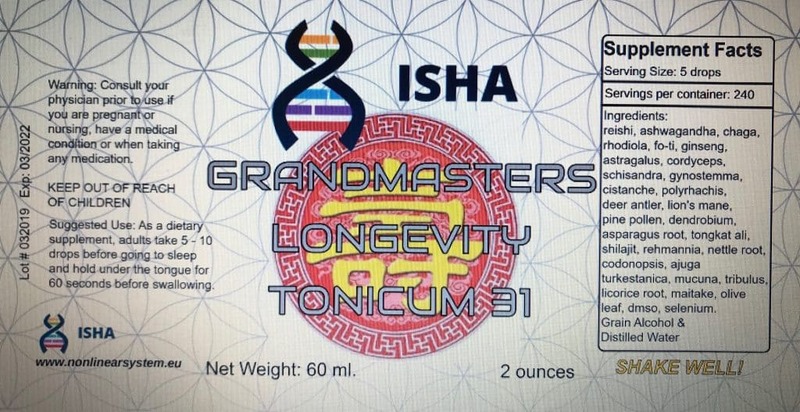 This superb Qi tonic is used in much the same manner as Ginseng, and is considered to be an excellent substitute for Ginseng in any formulation calling for basic Ginseng, but requiring a gentler effect. It is said to restore energy, balance the metabolism and stimulate the production of blood. It is also traditionally used to clear the lungs of mucous and as a tonic of special value to nursing mothers. It is said to help the skin become elastic, smooth and radiant and is thus used in many tonic formulations designed to increase both beauty and vitality. It is an excellent tonic to the immune system. 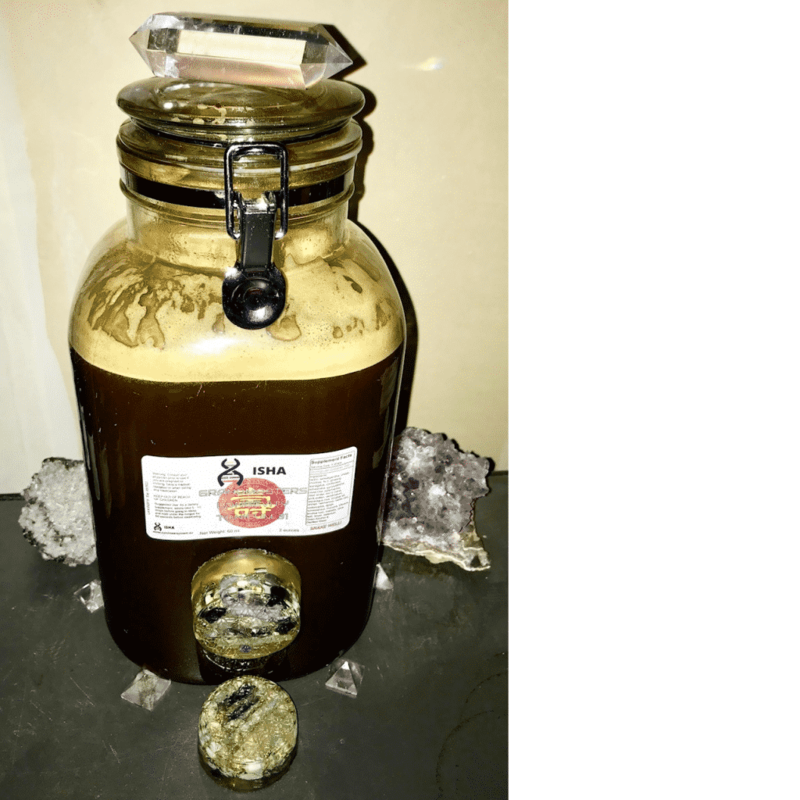 This rare and strange herb is considered to be a moderately Jing (primal essence) tonic of the highest stature, in the same league as other major super-tonic herbs such as Deer Antler, Reishi and Ginseng. Cordyceps is also a superb Qi tonic, and is especially valued as a Lung tonic.It is a mushroom that grows on the head of a particular kind of caterpillar in mountainous regions of Tibet, Mongolia and Western China. It has enormous renown as a tonic herb, and is said to build sexual and physical power. It increases mental energy, and is one of the most powerful tonics to the immune system known to mankind. Cordyceps is universally believed in the Orient to prolong life and slow down aging. It possesses both Yin and Yang tonic properties, accounting for its enormous popularity and value. High quality wild Cordyceps is currently selling for over $12 million a ton in the Chinese market. Obviously, a small amount is all that is necessary to achieve a big result in terms of building Jing. Deer Antler is widely believed in the Orient to strengthen all aspects of a person’s life, and is considered to be an ultimate Yang primal essence (Jing) tonic. It is a warm tonic, although it is also known to contain Yin Jing. It is also a major blood tonic. Extracts of Deer Antler have been found to strengthen the central nervous system and the heart. Deer Antler is believed to strengthen the mind and to calm, yet enliven, the Spirit (Shen). Deer antler is universally believed throughout the Orient to invigorate sexual energy. Modern research indicates that Deer Antler stimulates the production of blood by nourishing the marrow. Deer antler contains chemicals that are very closely related to human growth hormone (HGH) and is now widely believed to promote youthfulness as a result of this chemistry. The soft antler of the male deer is removed from the deer when it has grown just two or three spikes and is still covered by velvet. The deer grows new antlers. The tip of the antler is the most potent part because it contains the most active substances (more than 90% of the active substances in deer antler are contained in the tip, the last inch of the antler). It takes thirty deer antlers to make one ounce of “tips.” Tips are more expensive than the middle and lower parts of the antler, but are of much more value. I recommend you only buy products made from the tips of the antler. Certain varieties of Chinese orchid are an excellent Yin essence (Jing) tonic and longevity herb. It has been widely used both by Daoist masters and by the Chinese elite.There are several species and varieties of Dendrobium available. Dendrobium is said to quickly and effectively replace spent “Jing.” It is widely used in the Orient by those who engage in a lot of sexual activity to replace the spent energy and to replace fluids; and thus it is commonly called “honeymooners tea.” When combined with licorice root, Schizandra and Lycium fruit, it is also called “healer’s tea,” because it is said to provide healing energy which can be transmitted to others, and replace the spent healing energy. Thus body workers, other hands?on healers, and all those who give of themselves from their soul, benefit by consuming Dendrobium. My great Daoist teacher Sung Jin Pak, recommended that I consume Dendrobium every day because of my activities as a hands on acupressurist. Constant consumption of this famous “longevity herb,” whose full name is Polygonum multiflorum, is said in the Orient to help return an aging person to youthfulness and to keep a young person young. This herb has been consumed by almost every Daoist that has ever lived, and is fundamental to the practice of the Daoist inner arts. It is an unsurpassed Yin Jing tonic, as well as a major blood tonic. It is said to increase energy and to clean the blood. As an essence tonic, it is believed to be a powerful sexual tonic when consumed regularly. He Shou Wu is widely believed in China to increase sperm production in men and to increase fertility in women. It is used in almost all tonics that are believed in the Orient to nurture the hair and teeth. It was the first herb my great teacher gave me. I still consume it every day, no matter what I’m doing or where I am. Rehmannia is said to be the “Kidney’s own food.” It is thus believed to be a Kidney tonic and longevity herb and is found in many common “anti?aging” formulations for longevity, and rejuvenation. It is also considered a premium blood tonic and is said to benefit sexual functions in men and women. The steamed variety is said to be warm in nature, and it is the steamed variety that is considered tonic. Steamed Rehmannia should be combined with Qi tonics to improve its assimilation. Gynostemma is popularly believed in Asia to be an anti-aging, longevity herb. Gynostemma is generally reinforcing to overall health, and has a strong anti-fatigue effect. It is also used throughout Asia as a virtual “cure-all.” Gynostemma is a major adaptogenic herb, in the same league as Panax Ginseng, Reishi, Schizandra and Astragalus. It is an herb that has been revered and widely used by Daoists in Southern China as a primary Qi tonic. Gynostemma is widely believed to improve the utilization of oxygen, to improve digestion, to strengthen the mind, and to improve sexual functions. It is also believed to help calm the nerves and to ease pain. The ultimate greatness of Gynostemma lies in its broad spectrum adaptogenic quality. It has double-direction activity in many areas. It has the ability to bring balance to the body under a wide range of stressful circumstances. Constant consumption of Gynostemma tends to have a highly protective quality because it strengthens the adaptive capacity of the person at every level of their life. Constant consumption of Gynostemma is widely believed to promote radiant health and great longevity. Gynostemma has fabulous, safe anti-inflammatory activity throughout the body, while strengthening the overall immune system. The chemical constituents responsible for the adaptogenic characteristic of Gynostemma are saponins called gypenosides. 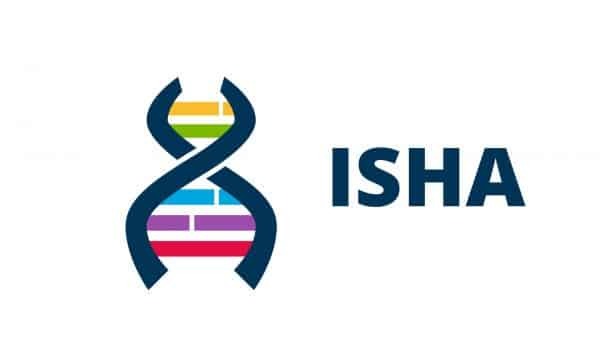 Legal Agreement:Buyer, User, agrees that neither ISHA nor the seller will be held responsable in any way for any damages or injuries brought about by the use of this product. Buyer, User also agrees to indemnify and hold harmless the seller to any and all claims, liabilities, or causes of legal action. *These statements have not been evaluated by the food and drug administration (FDA). These products are not intended to diagnose, treat, cure or prevent any disease.The buyer agrees that neither the manufacturer nor the seller will be held responsable in any way for any damages or injuries brought about by the use of this product. Buyer also affirms that he or she is at least 21 years of age. Buyer also agrees to indemnify and hold harmless the seller to any and all claims, liabilities, or causes of legal action. When you purchase certified organic herbs and products, you can be confident that you are making a healthful choice, while also contributing to a healthier planet. In order to meet the USDA’s stringent our entire line of supply is regularly inspected by independent 3rd party certifying agencies. As a company that supports people in achieving health and well-being, we are firm believers in the importance of the organic movement. Ingesting the highest quality food and herbs is fundamental to creating a healthy lifestyle. In addition to encouraging our customers to eat organic, we are committed to supplying them with herbs and products made with organic ingredients. We offer a large selection of organic Chinese & Ayurvedic herbs. 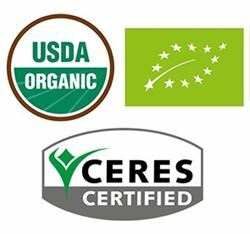 Nearly all of our products are USDA certified organically grown. Those that are not certified are organically grown without pesticides and will become certified organic when possible. Certified Organic herbs and products marketed in the United States must be grown and processed according to the standards set by the USDA’s National Organic Program. Organic producers must adhere to strict regulations in order to maintain certification. 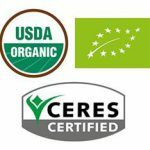 Look for certification and the USDA seal on products “organic.” It’s your assurance that the product has been grown and handled without harmful chemicals and pesticides, in accordance with the USDA’s strict organic standards.